If you live in a newer suburban community or planned unit development—like some 63 million Americans, according to the Community Associations Institute—you are probably a member of homeowners associations, or HOAs. It’s also a good bet you haven’t given your HOA much thought until you have a problem. Since HOAs make and enforce the community rules, it’s smart to understand what you can do if you can’t or don’t want to follow them. 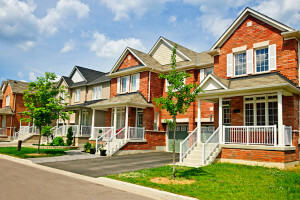 Is there value to living in an HOA? Depends on how you define “value”. A 2005 study that appeared in the Cato Institute’s “Regulation” magazine compared a group of Washington, D.C., area HOA properties with similar homes without community benefits—a total of about 12,000 homes. The HOA house values were found to be 5.4% higher. With the median home price around $190,000, that’s about $10,000. Of course, that means you’d pay more for the HOA home than the non-HOA home. And you’d pay dues, which average $396, according to the Census Bureau. The real value is your HOA property will be well-maintained and the rules for maintenance enforced. Some boards can impose what some homeowners believe are invasive, silly or elitist rules. In 2014, a Myrtle Beach, SC, association decided homeowners could have only two pets. A couple who’d had three dogs for the past 14 years were threatened with a $100-a-day fine unless they got rid of one of their dogs. Even if you disagree with the rules, keep paying your dues. HOAs have broad legal powers to collect fines and fees and regulate activities. If you don’t respond to letters from the board, property manager, or a collection agency, the HOA can and will turn to small claims court or file a lien against your property. Making a written request for variance, using the appropriate HOA form in your CC&R documents. A variance gives you permission to be the exception to the rule. Submit your request to the board and property management company. Seeking a compromise: That you’d like to fly the American flag, but only on national holidays. Some HOA boards meet as little as twice a year. If the board decides the issue is worth pursuing, it may require a community vote. If it passes a majority, the board will adopt it. Board members also may consult the HOA attorney to see if there’s a legal liability if they rule against you. If you don’t get a timely response, request a hearing and resubmit your request for variance with as much support for your cause as possible. If the board rules against you without a community vote, you can appeal the ruling with a petition signed by a majority of other homeowners. But if you fly your flag without permission, expect to get fined. Fines can range from a nominal $25 to a painful $100 or more depending on the issue. Your CC&Rs will indicate the fine schedule—per day, per incident, etc. Interest for nonpayment can accrue, and the HOA can sue you in small claims court. If you feel the ruling or the fines are unjust, the last resort is to hire an attorney and sue the HOA, as a flag-flying couple did in 1999. They battled their HOA in court for nine years before the case was settled in their favor. If you don’t like the rules, the best way to change them is to become part of the process. 1. Know your CC&Rs, annual budget, and employee contracts. Do you see areas where expenses can be cut? Are service providers doing their jobs? 2. Volunteer for a committee or task. If the board needs to enforce parking rules, for instance, you can volunteer to gather license plate numbers of residents’ vehicles. In addition, put your professional expertise to work: Assist the board with data entry, accounting or website design. 3. Stand for election to the board. When a position becomes open, the board notifies the members, and you can put your name forward. New board members are elected at the annual meeting by member majority vote. Many boards are three to nine members large, with terms of one to two years. Most boards meet quarterly; small boards only meet twice a year for a couple of hours. Accept that you might become less popular if homeowners don’t like your decisions. In the worst case, you could be sued, along with the rest of the association. But there are rewards. You’ll feel more in control of your community’s fate. You may find that some rules you didn’t support have merit after all. But most of all, you’ll know you’re doing all you can to protect your quality of life and your home’s value.